Manchester United midfielder Scott McTominay has attracted interest from his native homeland. The Scottish starlet made his senior debut for the Red Devils under Jose Mourinho, with the Portuguese tactician even awarding the youngster with the “Manager’s Player of the Year” title back in 2018. 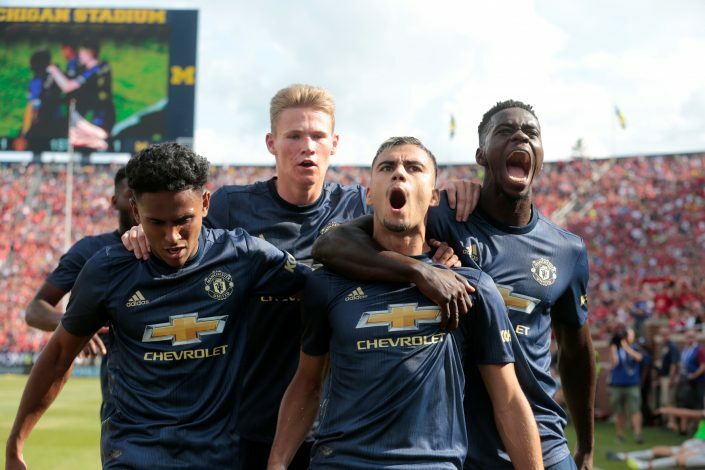 Further, the academy graduate was time and again used by Jose to make a point to Paul Pogba, but he has failed to make his mark on the club’s enormous fan-base. Since Ole Gunnar Solskjær took over in his new interim role, McTominay has made just one appearance, which came in the side’s 2-0 win over Reading in the FA Cup. Due to a lack of game-time at Old Trafford, the 22-year-old could be set to leave the club, at least on a temporary basis. Daily Record indicates that the player has attracted interest from Scottish clubs Celtic and Aberdeen, who are interested in signing McTominay on loan until the end of the ongoing campaign. The same source further adds that the Lancashire-born starlet would much rather avoid a move to Celtic due to their already packed midfield, and would instead prefer joining fellow academy graduate James Wilson at Aberdeen. However, his departure from the Theatre of Dreams could fall through completely if Marouane Fellaini, who has been heavily linked with a permanent exit, does end up leaving in the ongoing winter window itself.